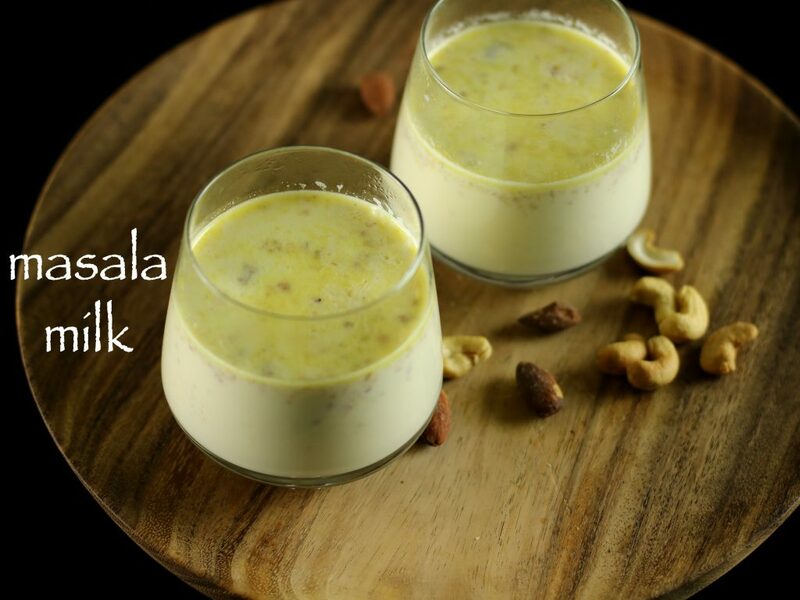 masala milk recipe | masala doodh recipe with step by step photo and video recipe. 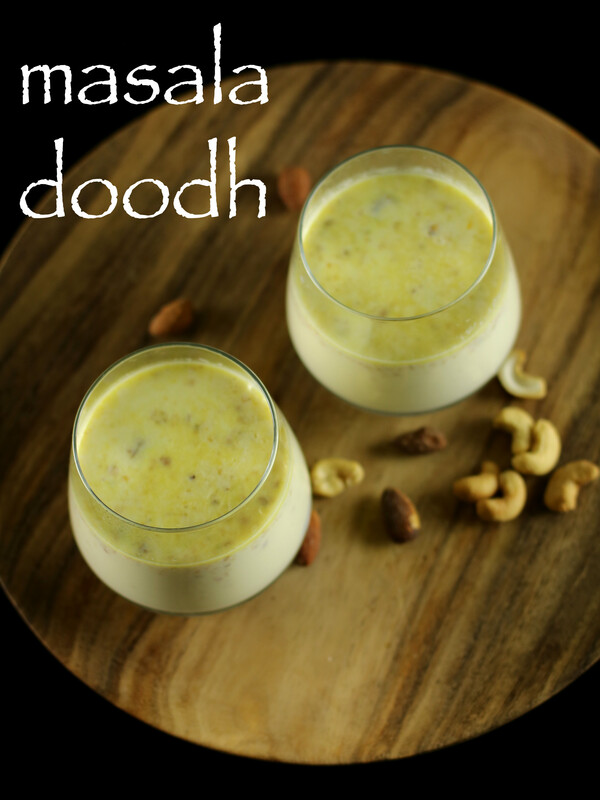 in india we call it as masala doodh; doodh – milk and masala – spices. we can usually find masala milk powder in all indian store. but why to buy when it can be made so easily in your kitchen. avoid consuming preservatives and be healthy. 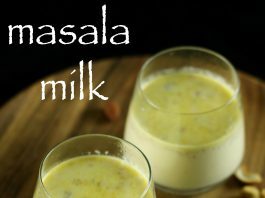 masala milk | masala doodh is one of the traditional indian drink after masala chai. 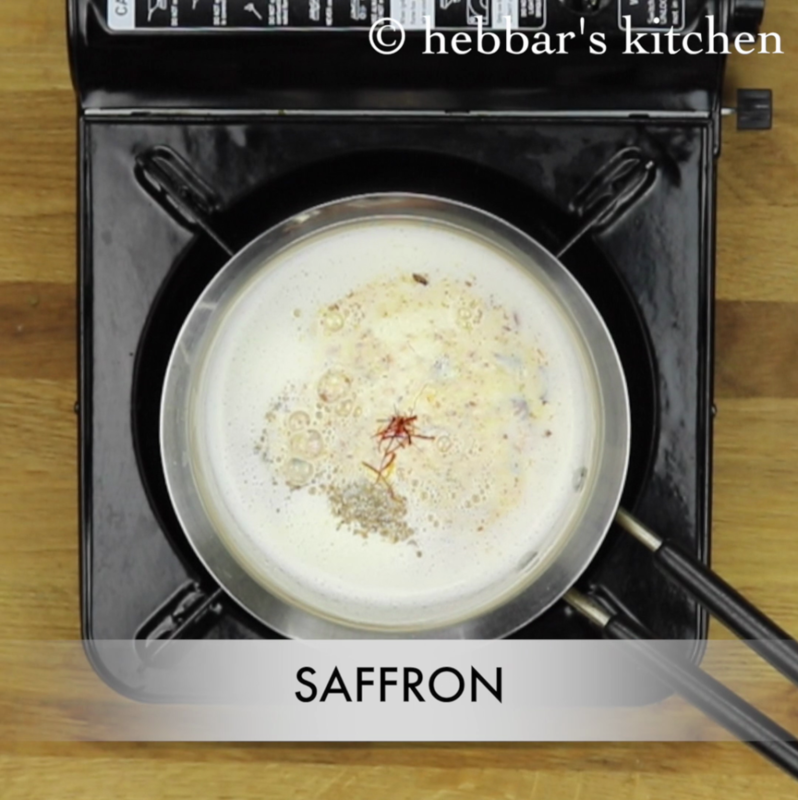 this is made with lots of dry fruits and saffron. usually it is very healthy for kids as its full of vitamins and minerals which is very much required for the body. nowadays, saffron is very expensive. alternatively you can add a pinch of turmeric powder to get the rich colour. watch on your weight, as this milk is very healthy and nutritious. if consumed daily then there are lots of chance to put on weight. but its very good supplements for nutritions especially for pregnant women. well, you can have a look at my other beverage recipes, especially, kashaya, masala chai, mango rasayana, banana rasayana, buttermilk etc. grind to a fine powder of almonds, pistachios, cashews. keep aside. if you are making in large quantity then make sure your nuts are not moist. 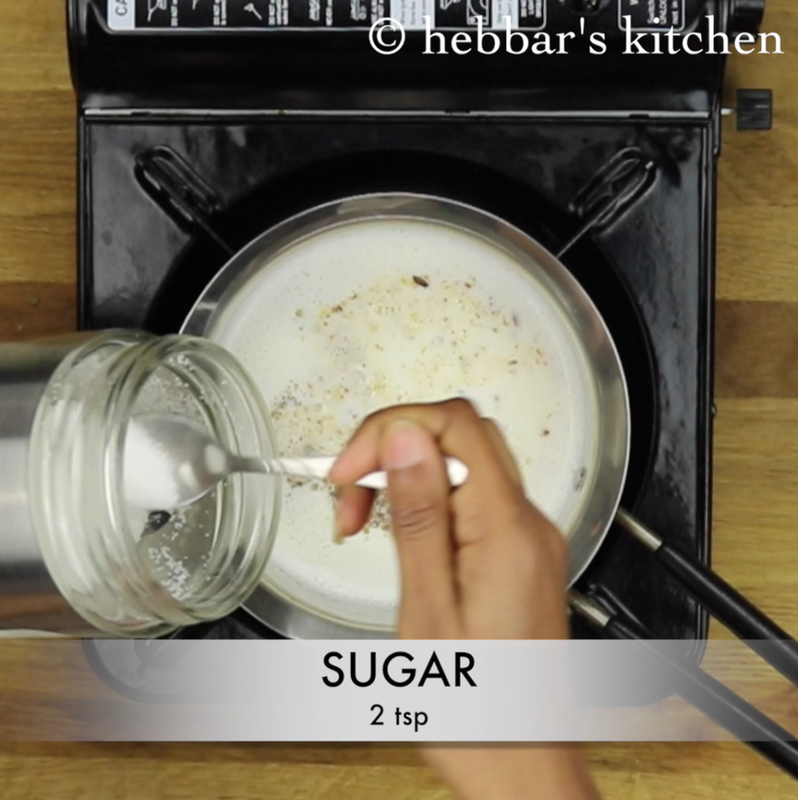 remove the masala milk powder and keep in an airtight container or jar. store in the fridge and use as required. 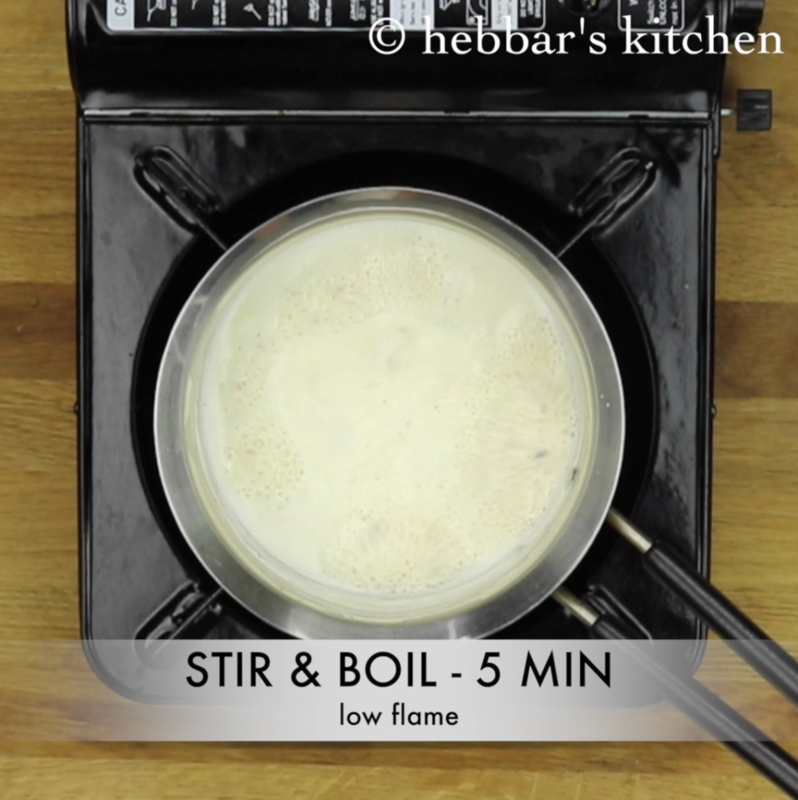 take a saucepan add 2 glass of milk. once the milk begin to boil, add half tsp of nutmeg powder and cardamom powder. finally add 2 tsp of sugar. adjust sugar to your taste. allow it boil for about 4 to 5 minutes. keep stirring in between so that it doesn't burn from bottom. 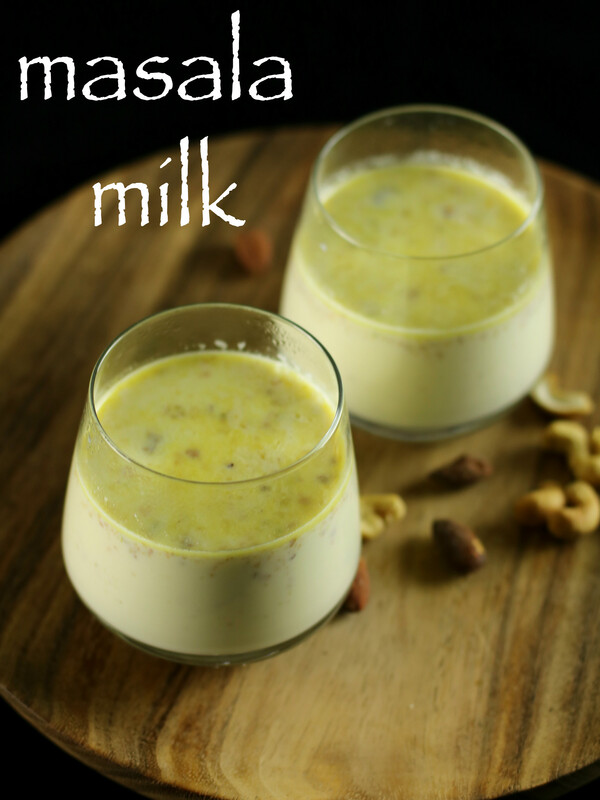 serve the thick masala milk hot or chilled. allow it boil for about 4 to 5 minutes. keep stirring in between so that it doesn’t burn from bottom. instead of saffron you can also use turmeric powder as they are healthy. also add pumpkin seeds, black pepper, fennel seeds to make it more flavourful. you can also grind nutmeg, cardamom, saffron along with dry fruits. if you are storing the masala powder for a long time. then dry roast all the dry fruits for 5 minutes on a low flame. once the dry fruits cool down, blend them to a smooth powder. for diabetic patients, you can skip addition of sugar. 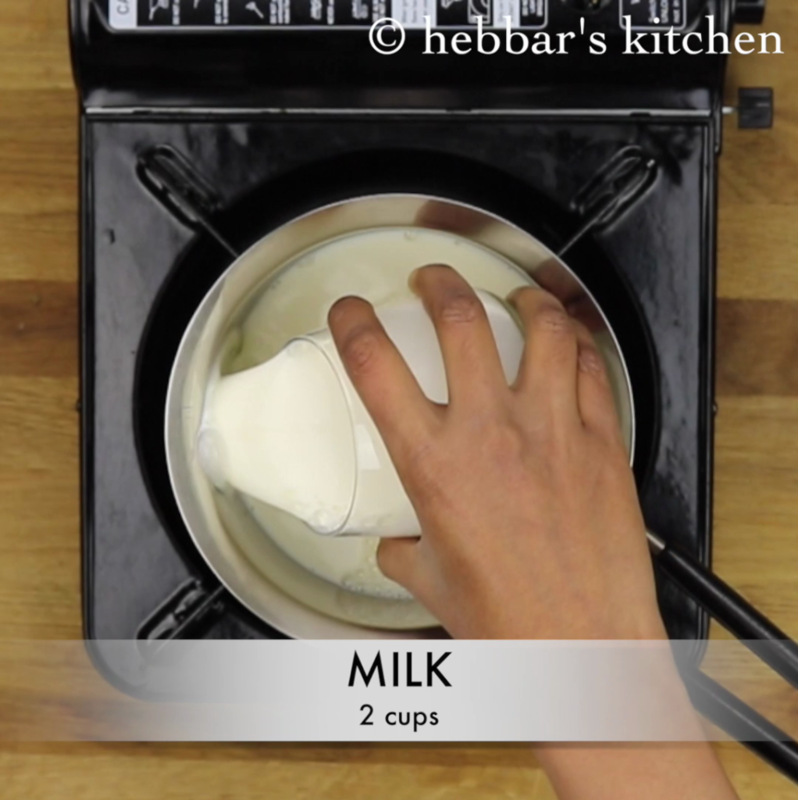 Any possibility of showing how to make the MTR badam milk (Blossom Rose flavor). All your recipes are great and easy to make. Simple home made one. Excellent. very healthy and easy recipe!! 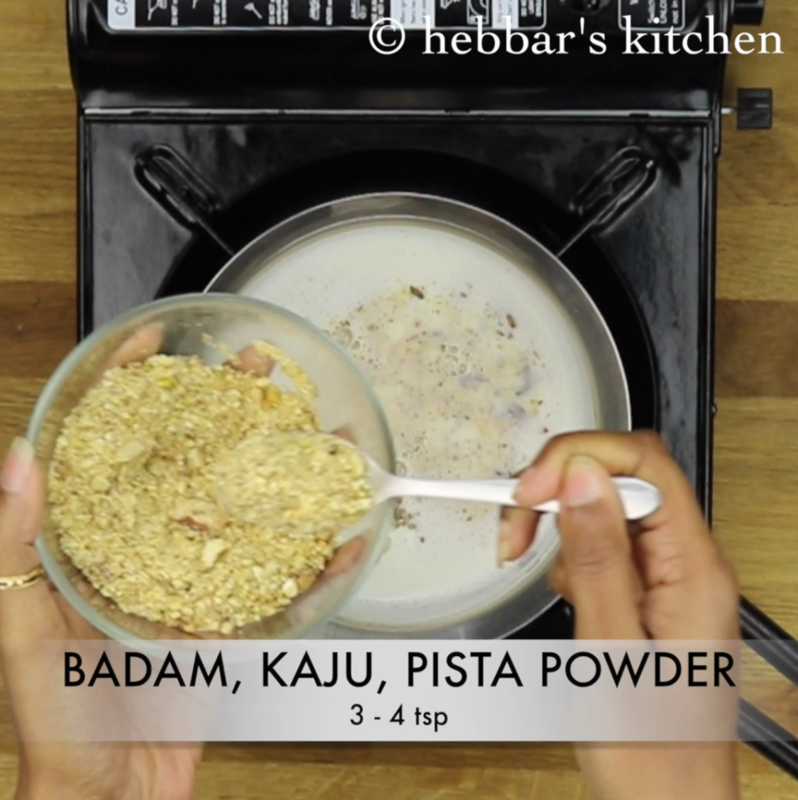 thanks Hebbar’s Kitchen for posting these recipes.. I used to always buy Complan, Milo, Badam powder from groceries.. no more I am going to buy those as there will be lotsa preservatives and sugar added to it.. this is very easy and can be altered to our taste..